I thought of calling this post “Stupid Groundhog” but why be so negative? That “Will there be six more weeks of winter?” question was meaningless back in Pennsylvania, where I knew I couldn’t get out in the garden until late March – and then only on good days. It is equally meaningless here in the desert southwest where this is the beginning of spring. But I suppose there must be some place where the question is worth asking. I’ve celebrated the Feast of Brighid instead for several years now. She is a Celtic goddess who is also a patron saint of poetry and smithcraft, I use this date as a moment to consider what I’ve accomplished since the solstice, and ask whether there’s anything I’d like to do differently in the approximately six weeks until the spring equinox, that official start of spring. Working for myself, I don’t have any deadlines to speak of, so a check-up point seems like a good idea. But, since an artist never really knows where she’s going, it is all approximate. One thing I do know. This is the date when I realize that once again I am behind on the garden work. So many plants should be cut back in January, I never get to them all. 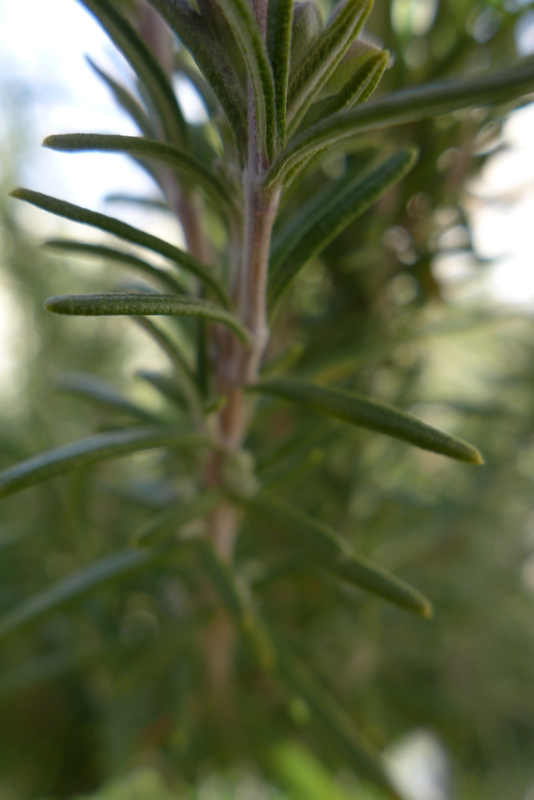 Close up of rosemary branches that need to be cut back. I like your idea of having a checkpoint for oneself midway between the solstice and the equinox, but I agree that as an artist it’s difficult to have a sense of just what one has accomplished or failed to accomplish.